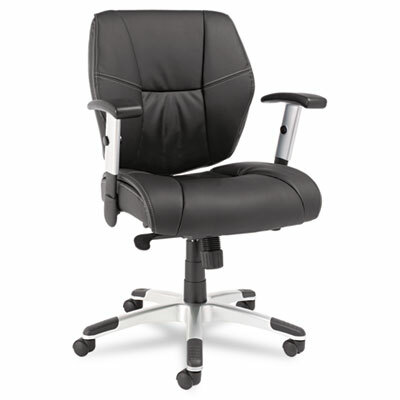 A managerial or conference room chair that's big on style and comfort. Control designed to also support individuals of petite structure. Padded contoured seat and back detailed with baseball stitching. Scratch-resistant black foot zones on base. Seat slides for ideal leg and back support. Big on style and comfort for the short in stature. Multiple controls and height-adjustable padded arms for a comfortable fit. Padded contoured seat and back with baseball stitching. Soft touch leather upholstery. Scratch-resistant black foot zones on base.